How To Choose The Best Ironing Board - Which? The right ironing board can be the difference between a quick, painless task and a laborious chore. We explain what you need to look out for. The humble ironing board still holds a prominent position in many households. 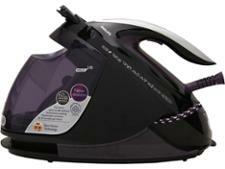 Without the right board, even a Best Buy iron can feel uncomfortable to use. That’s why it’s vital to choose a model that works for you. Not many of us enjoy ironing, but it still needs to be done. Even if you've used the correct detergent and folded your clothes straight after tumble drying them, there are always a few stubborn shirts that need to be pressed. To make ironing as easy as possible, opt for an ironing board that suits your needs. If you're short on space, you might need one that's easy to fold away; if you have small children around, you're likely to need one with a child lock. You don't want to spend time hunched over an unstable, lumpy ironing board just to come away with a shirt that's still crumpled. Determining your must-have features will ensure you're not disappointed with your choice. Fancy updating your iron too? 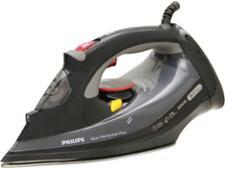 Take a look at our iron reviews to find out which steam irons get a Best Buy recommendation. What ironing board do I need? Portable ironing boards can move from room to room as you please and can come with you if you move house. But some people struggle with their weight and, if you're short on storage space, they can be cumbersome when they're not in use. A built-in ironing board, usually installed within a drawer or wall cabinet, can be a great space-saving option. They can be tucked away easily and should be simple to pull out and use. Ironing boards come in five standard sizes, so think about the ironing you'll be doing to determine which size you need. If you only tend to press shirts, a small board will do the job. However, suits and dresses will need something a little larger. If you'll be ironing sheets, a full-size board will make the task easier. The largest boards are 135cm long (more than 4ft 5in) and 45-49cm wide (17-19in) wide, so make sure you have enough room for this before you buy one. If you only need a board for occasionally ironing small garments, you might be best with a table-top board, as they're lighter and easier to store than full-height options. A mesh board allows steam to pass through it while you’re ironing and stops moisture from building up. No matter what type of ironing board you have, it's important to choose a good cover. If your cover is lumpy or ill-fitting, creases will stick and ironing will be more frustrating. It's worth finding the exact size you need, with elastic edges to keep it tight against the mesh, so you can do the job smoothly. A good amount of padding is helpful, and the surface should be scorch resistant and non-stick. Some covers are treated with silicon to make them stain resistant, too. If you want to cut back on your ironing time, opt for a metallic cover. This reflects heat back onto your clothing, creating a hotter surface and getting rid of creases more effectively. Want to save even more time? 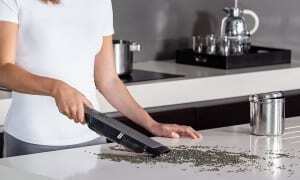 Take a look at our expert advice and video guide on how to iron as efficiently as possible. Try to check the weight of the board before buying. The lighter it is, the easier it will be to fold up and down, and stow away. However, it needs to be heavy enough to be stable and secure. A stable board with a sturdy frame will ensure the legs don’t buckle under pressure, and that it won’t slip, slide or topple over. Typically, a more stable board will be heavier, though some have wheels to make them easier to manage. How high should my ironing board be? The optimal height for your ironing board is hip level. 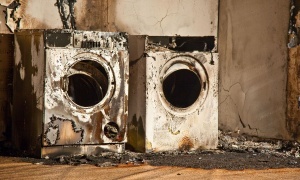 If you are the only person that will use the iron in your household, a built-in model is a good choice, as it can be set in place and will always fall at the same height. If more than one person will be using it, you may be better with a portable board that can be adjusted. Not all ironing boards are adjustable, so check this before making your purchase. How much will an ironing board cost? Prices for ironing boards can vary a lot - while you can pick one up for £10, other high-spec models cost more than £200. On the whole, you'll get what you pay for, and size and quality will typically determine the cost. On average, a good basic board should cost around £30, but this figure will rise with more advanced features and accessories. A child lock, a heat-resistant iron rest, multiple adjustable heights, and non-slip feet will all add to the price. See our list below to determine which features you need. When it comes to your iron itself you don’t need to pay over the odds. 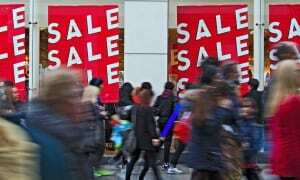 Our expert reviews have highlighted Best Buys for under £40. Read our in-depth steam iron reviews to help you choose the best model for you. Most ironing boards come with a rest for your iron as standard - the metal section at the wide end of the board that is used for holding the iron while you’re not using it. If you have a steam generator (these are heavier than regular irons), you will need to ensure that your ironing board has a rest that is large and strong enough to hold it. 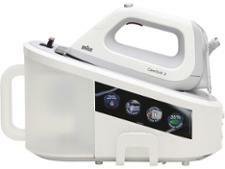 Steam generators can make ironing quicker and easier. Need more information? Read our guide to how to choose the best steam generator iron. If you often use ironing aids, a board with an in-built shelf or storage unit is handy. Some also come with a hanging rack to keep items crease-free while you finish the job. Some boards are now fitted with child locks, which will stop your board collapsing unintentionally and keep it closed when you're moving it around. A flex guide is an attachment that is screwed or clipped to your ironing board to prevent the iron's cord getting caught or trailing on the floor. Most ironing boards should already come with these on the feet, but if not you can buy end caps separately. These are to ensure it doesn’t slip and slide when pressing garments. A sleeve attachment is a smaller board that can be used for sleeves, collars, pleats and other small, fiddly items. Now you know everything you need to about ironing boards, check out how to buy the best steam iron with our expert guide.